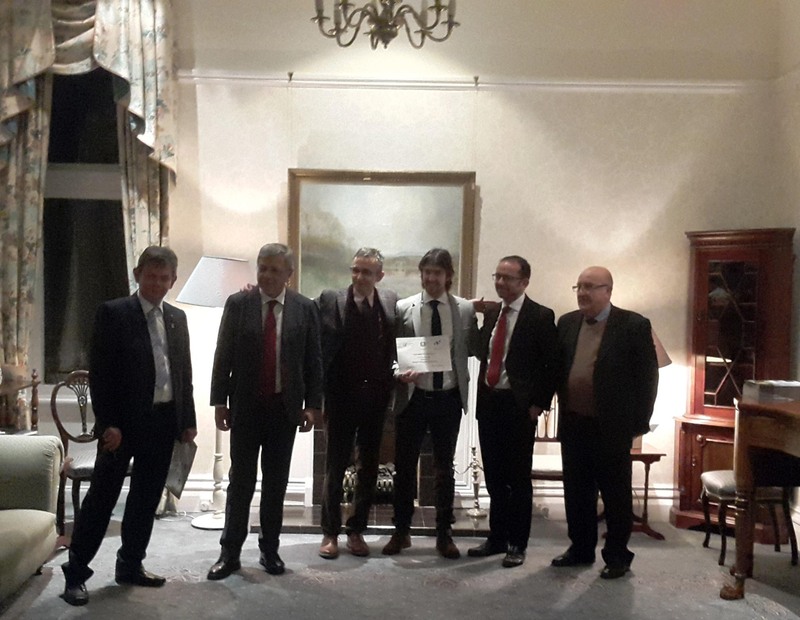 Dr Mangano was presented with his award by the Italian Consul in Edinburgh, Carlo Perrotta, and the Science Attaché at the Italian Embassy in London, Prof. Roberto di Lauro. The award ceremony was held at the University of Glasgow hosted by the Principal and Vice Chancellor of the University Prof. Anton Muscatelli. The award process was coordinated by the Italian Embassy in London and the Italian Consulate in Edinburgh, in collaboration with the association "Il Circolo", the Association of Italian Scientists in the UK (AISUK) and the Italian Scientific Commitee in Scotland.